Crafted in Canada from ultrasoft cotton, these sweats keep a slim profile for versatile athleisure styling. 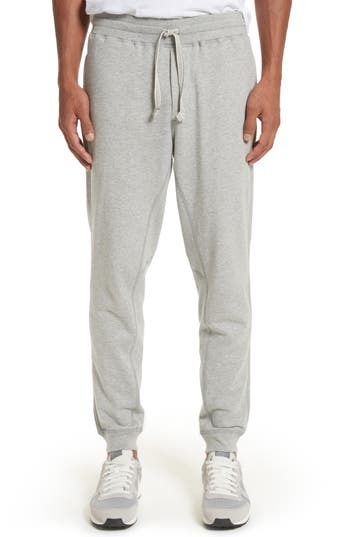 Style Name: Wings + Horns Sweatpants. Style Number: 5456814. Available in stores. Delivering the performance of a lightweight boot, and offering the look and comfort of a sneaker, the Pista Boot is perfect for wear in any condition. The waterproof upper features GORE-TEX fabrics, ensuring the best waterproof protection you can rely on. The cushioned insole features P87 shock absorption technology for all-day comfort. Rubber outsole offers excellent traction. Add some dazzle to her beautiful attire. The Ava features a smooth upper with a rhinestone-encrusted strap at the toe and an adjustable ankle strap with a hook and loop closure for an easy on/easy off. Additional highlights include a padded insole, a modest 1 3/4" wrapped block heel, and a skid-resistant outsole. Manmade materials.